It looks like snow because it feels like snow. No, we didn’t actually get any snow today (surprise) but it sure felt like we could have. Brrrrrr. Millie apparently thought so as well as she crafted this family of 6 plus doggie out of play-dough. 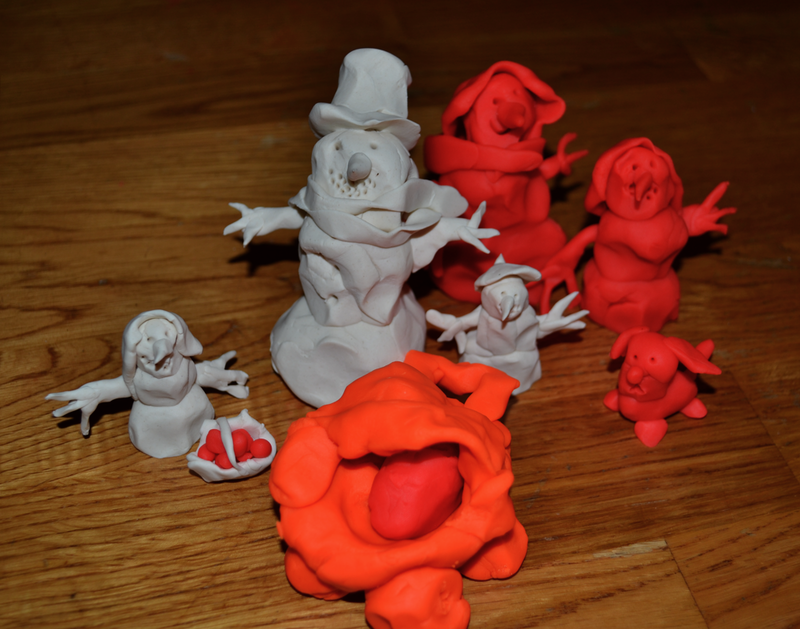 I wish I could have captured the amount of detail she put in these snow people; it really was amazing. So creative! I really love how the snowman’s scarf is “blowing”!